wall26 - Stick'Em Up Banksy Graffiti Artwork - Canvas Art Wall Decor - 32"x48"
The quality is good, and the painting suits my room very well. Fast shipping! Looks great and exactly what I wanted. Great price. Looks exactly as I hoped. This is art, I have this in my bedroom behind my bed. Looks fantastic, looks very artistic and modern, easy to install. This is my favorite Amazon purchase to date! I gave it a costom frame to really make it pop! Everyone loves it and it makes my kitchen/bar complete! Great price, looks great, really classes the joint up. You're buying a canvas print of the picture above. I think it's a great value, looks good on the wall, and I'm satisfied! Love it and it's been a great conversation piece when i have visiters. 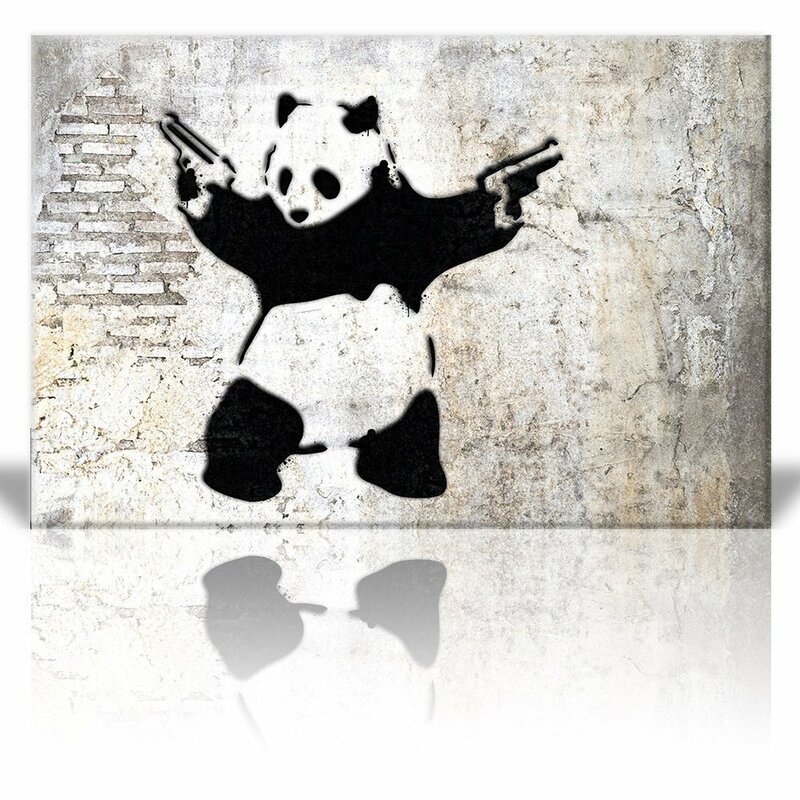 I got the 24"x36" stick em up panda. Pleased with the brown and gray tones in it. Adds a bit of a rustic/earthy touch and I like that. The sawtooth picture hangars that are provided are super easy to screw into the back of the frame. I just had a difficult time getting them completely straight Lol. For the price I'm very happy with my purchase.